There are 9 posts in this thread, and it has been viewed 5976 times. The Irritating Maze. What do you think of it? After developing some Neo Geo ports for other 16-Bit consoles and a few Neo Geo games like Stakes Winners, Ironclad or Ragnagard, in 1997 it was time for Saurus to present something special to SNK. 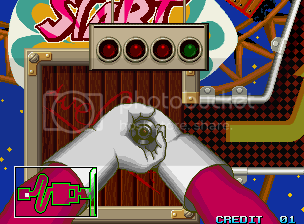 The idea was to release a trackball controlled game based on the Neo Geo hardware, a maze arcade game suitable for all ages. In this case SNK produced a special cabinet including a trackball and even air jets that blow players air in the face when they commit erros. Unfortunately there aren't any air jets when playing this game via emulation, but you still can give it a try in Priest's High Score Challenge! 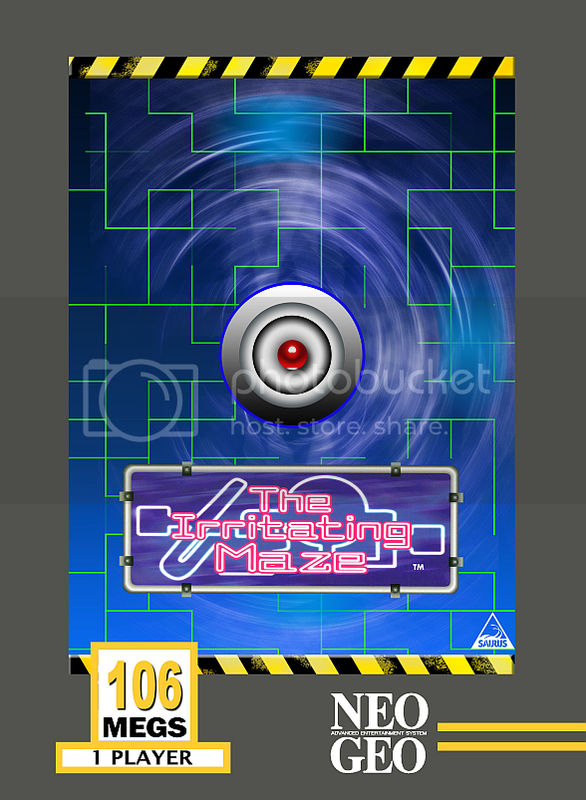 The idea of The 'Irritating Maze' was simple: The player moves himself with a trackball through different mazes before time runs out. This is not as easy as it sounds, though. Except for Practice Mode, the player isn't allowed to touch the walls. The mazes are not stationary and moving obstacles such as windmills, moving walls, and even a railcar will try to block the player's every move. The mazes are made even more irritating by the air jets that will blast the player when they fail. This is my only reaction to this game...Yep! I sadly have not been able to play this one for the exact reason showcased in Stray's video there. It's impossible to control through emulation unless you happen to have a trackball controller for your PC. Maybe one day I'll get one so I can finally play this and SegaSonic the Hedgehog. For something similar that is easy to play through emulation I'd recommend the Kuru Kuru Kururin games. The rotating ship thing is quite a bit different and adds strategy to the game. Oh, and blowing air into the player's face when they mess up? Awesome! This game would be hilarious to watch people play! If I ever come across a cabinet of it somewhere I'll definitely put some quarters in it. I haven't had any problems with the controls so far, while playing the game on MAMEUI I've even used the keyboard so far. Just assure yourself you configure the controls correctly (Track X Analog Dec for left, Track X Analog Inc for right, Track Y Analog Dec for up and Track X Analog for down). When played via emulation the game itself is quite OK for what it is, nothing really groundbreaking. But just imaging to play it on a real cabinet makes the Irritating Maze much more interesting, that's because I gave it a "very solid" rating. The air jets must be really fun though, quite original of SNK to build these in! Thanks for the info about the controls Murikov. I was actually using a mouse to play this game which is a bit awkward. I can't map the directions to my arcade stick but I just tried playing with the keyboard and that definitely seems better than using a mouse. Maybe one day I'll get myself a trackball controller. I quite like this game. I always like playing more unusual arcade games and this is a pretty good effort from Saurus. The levels are well designed with a choice of routes and some interesting ideas. I wish I could play this on the actual cab with air being blown in my face every time I mess up! There is a bit of a flaw in this game though: it's too short. It should have had at least 5 or 6 stages. Is there any real difference when playing as the man or lady character? I remember reading a rumour that Saurus had been planning/working on a sequel to this game called The Irritating Maze Returns. 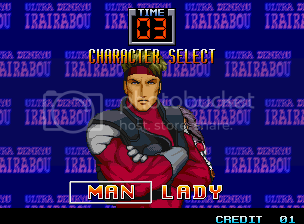 Man and Lady for NGBC 2! Thanks for the advice on the controls, Murikov. I'll try that out and see if I can get it to work because I've always been interested in it. Merlin, it's possible that sequel you're talking about is in fact the Playstation 1 game Irritating Stick. I vaguely remember playing a demo for it, and after a little research I found that it was developed by Saurus too. 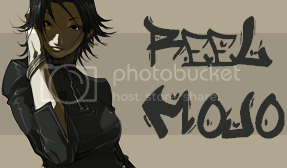 Interesting Reelmojo I didn't know about that Irritating Stick game. That voice would be pretty annoying after a while I think. I noticed on Wikipedia it states the game is based on a Japanese game show and also Irritating Stick has been voted the worst game title ever! The Irritating Maze Returns is mentioned on the Neo Geo Master List as being a 'rumoured title' and it gives the year 1999. 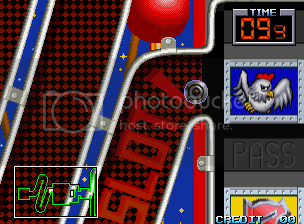 According to Dion Neo Pool Master is also a trackball game by Saurus. I've never actually played this game, but I've always wondered about it. I think it's a game I'd really like to try, get irritated (as suggested by the title), and probably not come back to. 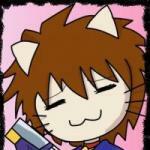 It does remind me of the Kuru Kuru Kururin I played on GBA. That game worked well for the digital controller, and the rotating stick gave the added difficulty without resorting to all kinds of weird level complexity (like the Irritating Stick video showed). Irritating Maze seems like it should be a redemption game. If it was, I bet it could still work well in a Chuck E Cheese or whatever. I love this game. I can never get past the expert course, that damn zig zag track gets me every time. Irritating stick for PS1 is great as well but I prefer the Neo Geo game as it's just better all around. I wish I could play it on a dedicated cab.